DESCRIPTION: IWS developed a cost effective design by utilizing existing components wherever possible and operated the existing system while making modifications to the structure. With careful planning and execution, IWS was able to incorporate all modifications to the new system without taking the existing system off-line. The original SSSD facility was constructed during World War II in the mid 1940’s to service a hospital and related housing units being built to house anticipated casualties from the US invasion of Japan. The site was later developed in the 1970’s by a private owner into a subdivision which includes 85 residential and 39 apartment units. The average daily flow from the development is 22,000 gallons per day. The existing plant had a digester building, an aeration basin, a clarifier, sludge drying beds, and a chlorine contact chamber. In addition, the client addressed collection system infiltration issues to minimize impact to the treatment system. IWS developed a cost effective design by utilizing existing components wherever possible. Operating the existing system while making modifications to the structures proved to be a bit of a challenge, however, with careful planning and execution, IWS was able to incorporate all modifications to the new system without taking the existing system off-line. 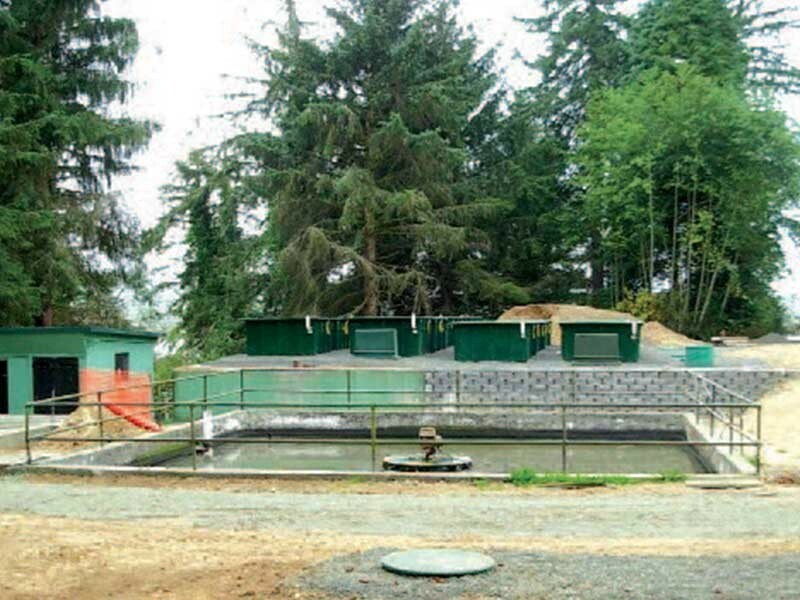 1) IWS utilized the existing clarifier and aeration tank as primary treatment tanks. The tanks were inspected and deemed to be in operable condition. Reusing the existing concrete basins allowed the client a substantial cost savings.